* Who's excited it's Friday? I am raising two hands right now! Why? Because we are heading to see The Lumineers tonight!!! Love this band, and cant wait to relax with a cocktail, good friends, and amazing music. * Remember this adorable dress and bloomers I blogged about? Well how stinking cute are they? So soft and lightweight for summer. Way to go Mini Boden!!! * I am excited this weekend to celebrate the best daddy in the world(besides mine own of course). No really, if you looked up perfect dad- you would totally see Todd's face. * This E-card makes me laugh every time I see it! 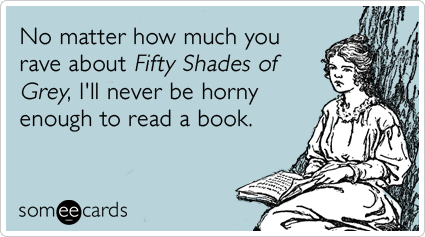 I couldn't agree more, because I hate to read. I know that's terrible, but I just don't like it! * Last since I have discovered the juniors section still sometime works for me, I cant stop finding dresses I want/need. This one in particular! New reader/ commenter. My hubs and I are driving in from GA tonight for the concert too and a long anniversary weekend!!!! Any must see / do things in the area?? We are staying on IOP. Also dress or jeans for this concert venue?? What? 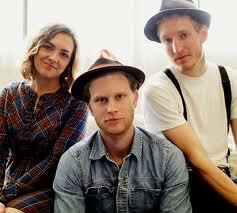 Where are the Lumineers playing? I would love to see them! I always miss the good concerts! I must be living in a hole. Ugh. Have a great weekend!